BASF Board of Directors Meeting, held Thursday, January 25, 2018, which featured the Annual Economic Outlook Presentation from NAHB. 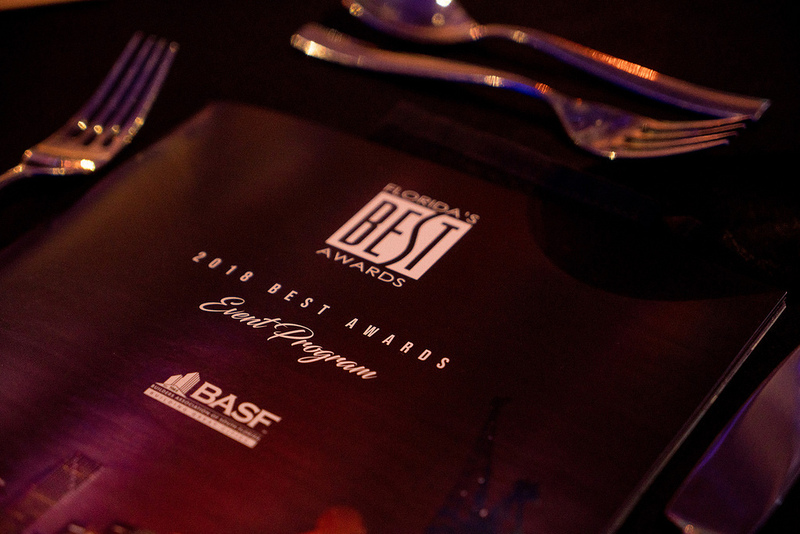 The Builders Association of South Florida (BASF) held its 2018 Installation Gala on Saturday, November 4, 2017 at Miami’s fabulous EAST hotel in Brickell City Centre. At the Gala, BASF’s new president for 2018, Carolina Herrera, was installed along with the BASF Executive Ofﬁcers and Board of Directors for 2018. Over 400 guests enjoyed cocktails on the Hotel’s 39th ﬂoor which overlooks Miami’s brilliantly lit skyline. After awards and presentations, guests took over the Hotel’s entire pool deck for a major party under a gorgeous moonlight evening. Entertainment included a non-stop band, complete with ﬁreworks and an on-site artist who painted an enormous canvas, inspired by the evening’s great outdoor vibe.